Place Stanislas is a UNESCO World Heritage Site. Built in the purest 18th century classical style by Stanisław Leszczyński, then father in law of Louis XV and Duke of Lorraine, it has recently been renovated and is now undoubtedly one of the most pleasant areas of Nancy. The Opera, the Museum of Fine Arts, the City Hall and several prestigious shops such as Daum and Baccarat are all located there. Café Foy (left on the picture) is a typical French Brasserie, located in the Pavillon Jacquet, built in 1755. It serves traditional French cuisine, often with a local touch: gris de Toul (local white wine), mirabelle plum, bergamot, etc. Anne Adrian, curator of the Cour d’Or Museum will accompany us for this visit. 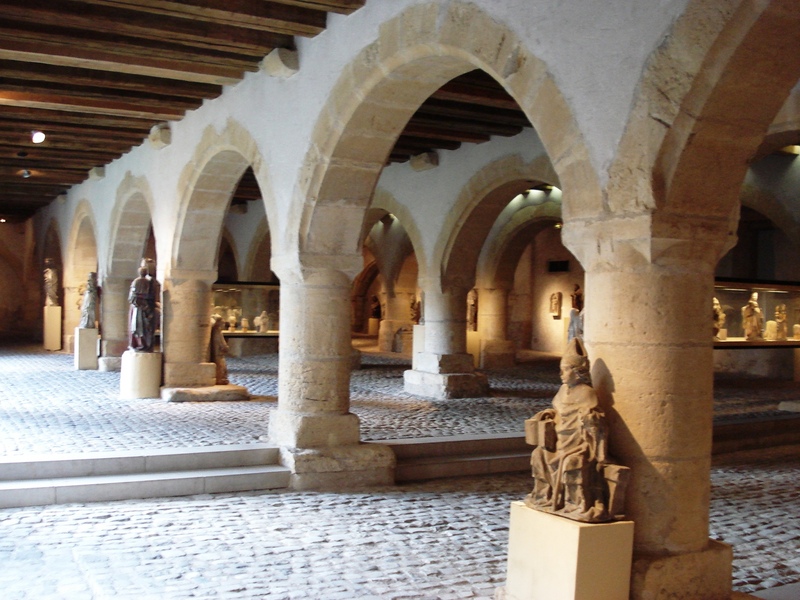 Metz used to be the capital city of the Merovingian kingdom of Austrasia, and the museum holds many remarkable pieces from that time and from the Carolingian period, as well as a number of later religious sculptures. For more information on the Cour d’Or Museum, see its website.